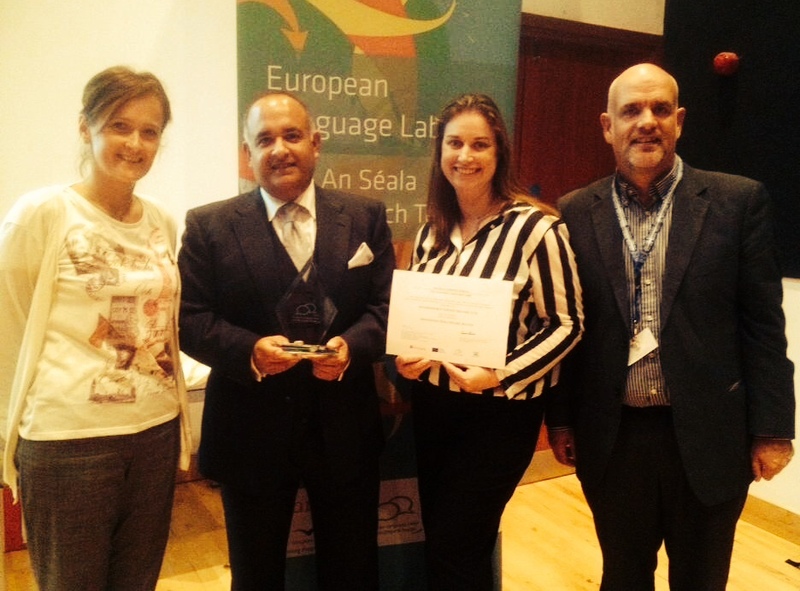 The MEDISIGNS project team, led by Interesource Group (Ireland) Limited, was one of seven winners and awarded the 2013 European Language Label for innovative ways of teaching and learning languages. The European Language Label, which is simultaneously run in over 20 European countries, has been a major event in the languages’ calendar since 1998. The Award recognises creative and innovative ways to improve the quality of language teaching and learning. This year’s winners were selected on the basis of excellence, innovation, creativity and their ability to serve as a model for others. The MEDISIGNS team comprised of the Centre for Deaf Studies (Trinity College Dublin); University of Nicosia (Cyprus); The Foundation for the Promotion of Enterprise (Poland); University of Stockholm (Sweden) and Heriot Watt University (Scotland).